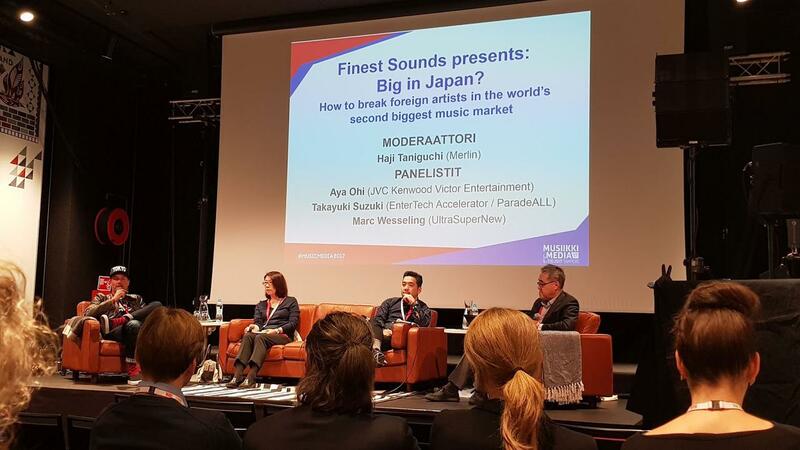 Finest Sounds hosted several sessions focusing on Japanese music business during Music and Media Conference in the beginning of October. Delegation from Japan brought 10 experts to Tampere. The intensive days offered a unique opportunity for professionals and business people as well as to the students to get insight information about Japanese market. For the students, this was an awesome chance to get direct feedback about their concepts and demos. 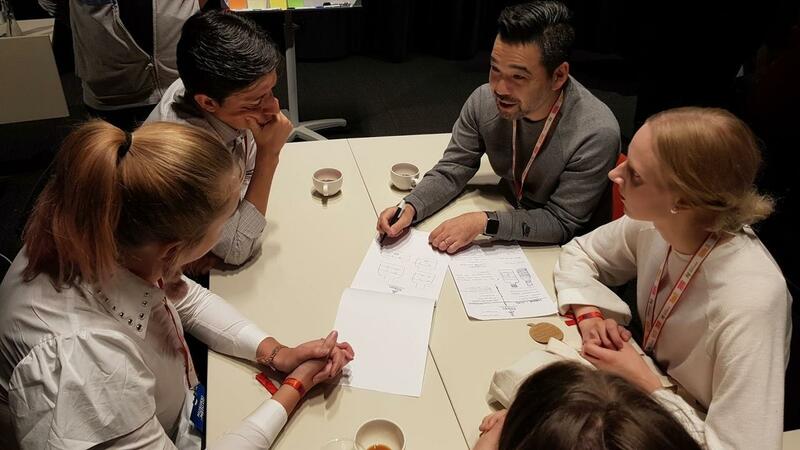 On Thursday morning the students and teachers from Tallinn University, Humak and TAMK got together, checked and confirmed the timetable for coming three days – it was tight but not too much. The first open session was Folk, World and Jazz Music Market in Japan, panel discussion with four Japanese representatives, moderated by Tapio Korjus. Right after that keynote Marc Wesseling, the co-founder of UltraSuperNew aggregated big audience into the lounge with fascinating examples of how their gallery works and how they combine brands with artists – cases included, ao. Heineken, RedBull and Supercell’s Clash of the Clans. Wesserling’s key words were the opinion leaders from different communities: skateboard, rap, heavy music – how to make them to work for the brand and make successful campaign, both within social media and in live events. After Wesseling started the Matchmaking session, where 15 Finnish and Estonian brands and bands pitched their music and products, famous brands like Kyrö Distellery, Nokia Technologies, Ivana Helsinki and Festivality, and artists and bands from different genres, like Elifantree, Lieblings, Tuuletar, Steven Seagulls’ and Mokoma – the session was followed with active discussions and sharing cards, contacts and ideas among the participants. Thursday evening was filled with gigs around the city – Lost in Music festival made students and teachers go from club to club listening and enjoying old favourites and exploring new artists. On Friday, Finest sounds presented two sessions: “Big in Japan?” and “Still a Goldmine?” – both were full, students were active and the Japanese delegation was busy. In the afternoon students worked in a workshop to prepare their ideas for the hackathon on Saturday. Kyrö Distillery & Moomin Museum & Elifantree: Moomin Garden Party in Japan, activities for adult Moomin lovers.. – Feedback: looks great, this could happen, but how about the Moomin characters with licencing alcohol? Morrow Games & Tuuletar: four different elements with relaxing rooms & landscapes, combined with Koti-cabin or Lingvist (the language learning platform) with Mokoma – Feedback: crazy enough! Kyrö Gin & Cranberry floating in the icepool, with music of Joonas Widenius Trio – feedback: Great Idea!